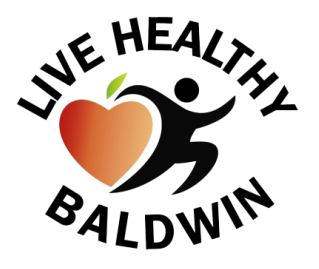 Live Healthy Baldwin is a community-wide initiative whose goal is reversing the childhood obesity epidemic among at-risk children. The purpose of the project is to increase opportunities for healthy eating and physical activity by providing the Baldwin County area with access to healthy and affordable foods, along with developing a community that is supportive of forms of active transportation, such as bicycles. Live Healthy Baldwin was created in 2009 and was funded by the Robert Wood Johnson Foundation, the country’s largest foundation supporting improvement of the health and healthcare of all Americans until December, 2013. Support now comes from the Healthcare Georgia Foundation. The mission of Live Healthy Baldwin is to reverse the childhood obesity epidemic in Baldwin County by 2020 through policy and environmental change aimed at creating opportunities for physical activity and increasing access to healthy food.